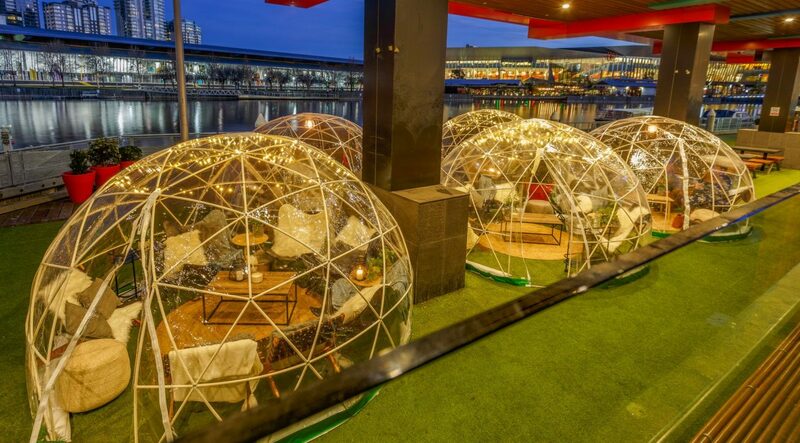 The Winter Igloos are back for 2019! 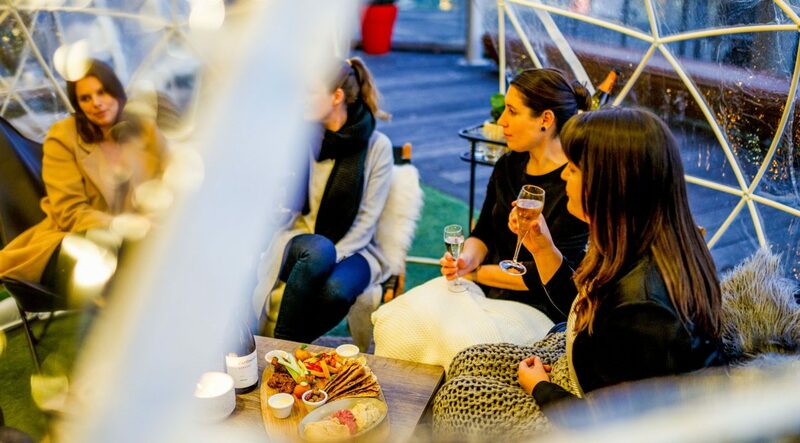 Come and experience our winter wonderland… stay toasty in an igloo perched on the banks of the Yarra. 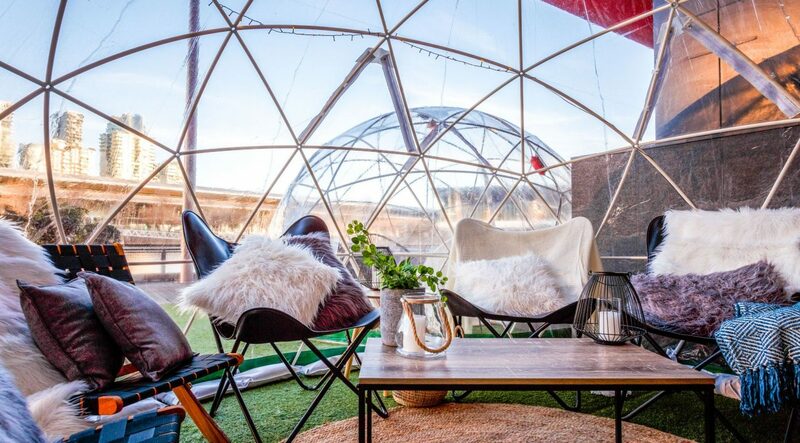 Step inside and cosy up beneath a sky of twinkling fairy lights. Sit back, grab a warm blanket, relax and watch the world go by. 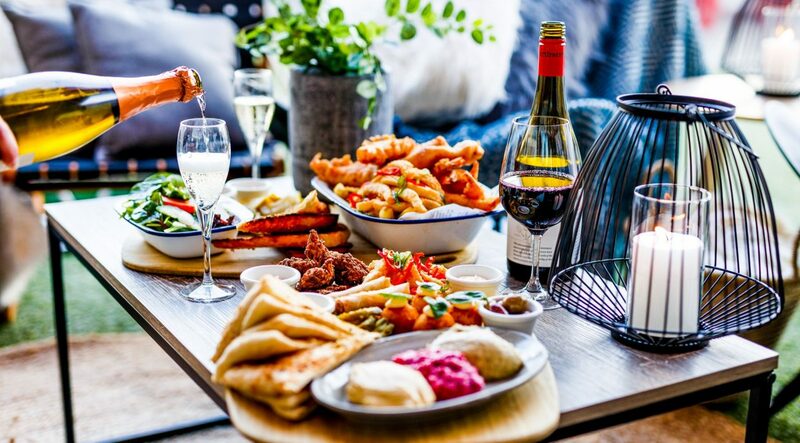 Belly warming platter to share: flatbread, dips & pickled veggies, fried calamari & lemon wasabi aioli, pork & chive dumplings, chicken ribs with sriracha plum sauce, pork belly in chilli caramel sauce, veggie spring rolls. 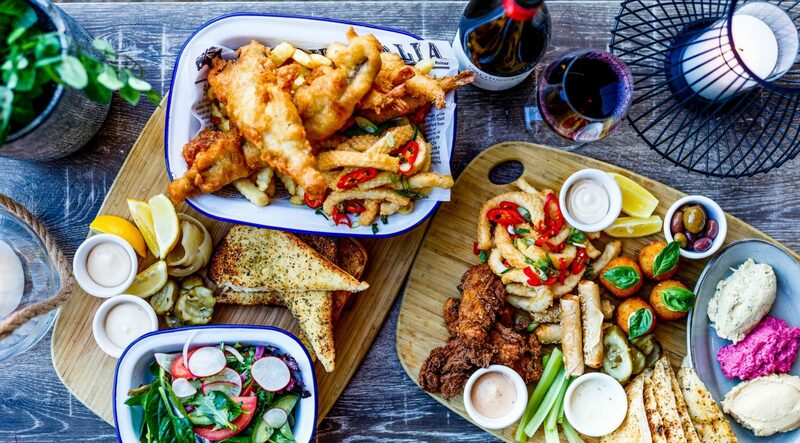 Vegetarian or Gluten Free options available! 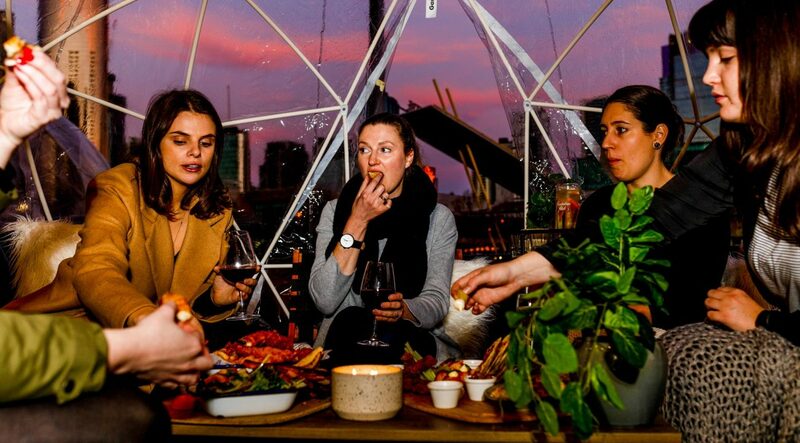 Enjoy your own private igloo, perfect for an intimate get-together, double dates, family outing. Bookings require a minimum of 4 adults. 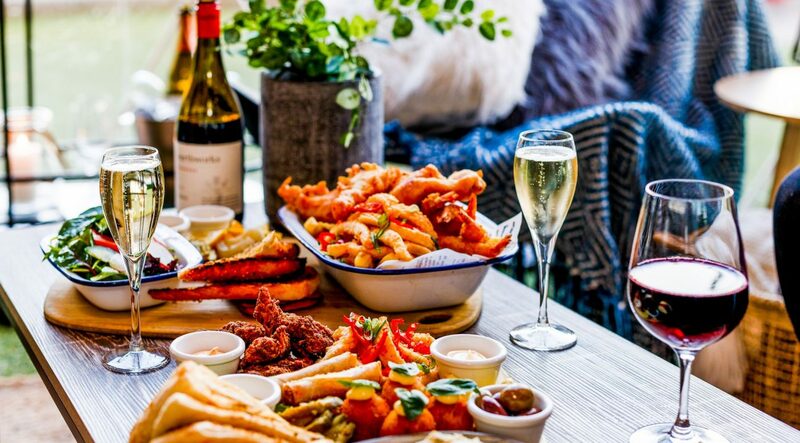 Ideal for birthday celebrations, sundowners, corporate gatherings, hens parties, mother’s groups, engagement parties & more! 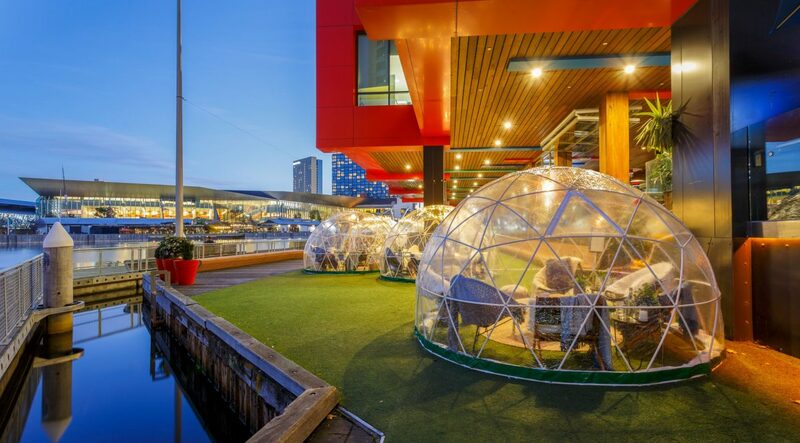 Please note if not booked exclusively as a function, the mega igloos are enjoyed as a communal dining space. 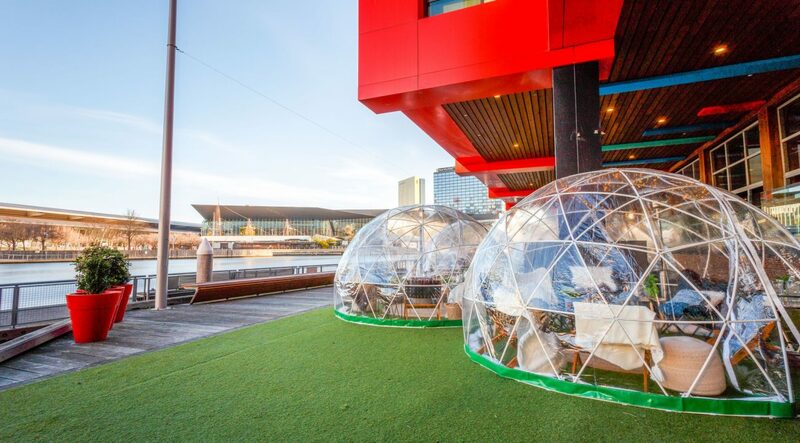 Got a large group or event and want to book a mega igloo all to yourselves? 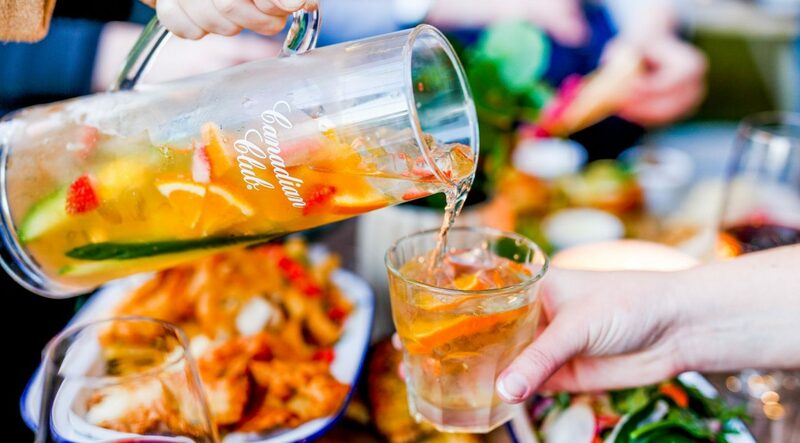 Get in touch with our friendly functions team to enquire. Igloo Wonderland is popping up for a limited time, don’t miss out! Bookings available from 1st May – 31st August 2019. Each booking is for a 2 hour period. 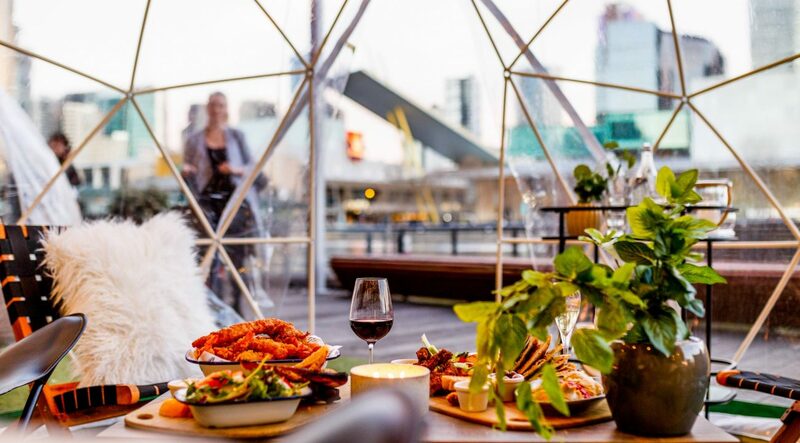 Warm up at The Wharf and say goodbye to those winter blues!